Dota 2 keeps breaking eSports year after year. 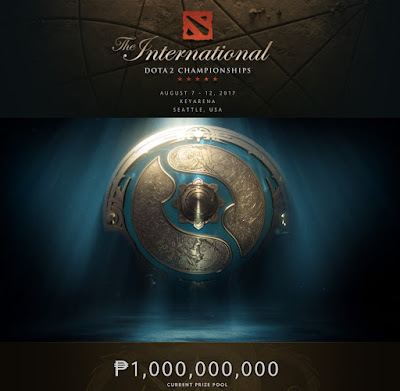 The TI7 Dota 2 prize pool has now reached more than 1 billion pesos thanks to the crowdfunding of Dota 2 players from around the world. With 2 Filipino Dota 2 teams competing at the event, the Philippines has a huge chance of earning millions of pesos thanks to this tournament. Good luck to both TNC and Execration!